Although Apple doesn’t wants to admit it, a smaller version of the iPad will soon be launched and a centralized location containing various details related to the iPad Mini features and release date can now be found. Form: The iPad Mini is said to be produced in Brazil, alongside the new generation iPod Touch, and should arrive in a form as tall as the Asus Nexus 7 but possibly a bit wider. The slate is expected to be slimmer than the Kindle Fire (which is by the way, the thinnest tablet out there), with the supposed thickness rumored at just 7.2mm. This is 3.25mm thinner than the Nexus tablet and 2.2mm thinner than the new iPad. Display: Some say that a non-Retina display is expected on the iPad Mini, Apple taking this decision to cut down prices and stay competitive. When it comes to its size, one camp is stating that it will have a diagonal 7-inch wide, while others speculate it would be around 7.85-inch. The latter assumption tends to have more sense, because Apple always looks for a way to stand out in the crowd and a slightly bigger display should be seen as preferential, but it will also add some marks to the final price. Moreover, some say that the bigger display will offer 40 percent more display space than the Kindle Fire, because of its small side margins. Connectivity: Apple may be the winner amongst all small tablets here, by possibly releasing the iPad Mini with a 3G antenna feature, something that neither Nexus 7, nor Kindle Fire has. It should also come with Bluetooth 4 technology and a smaller pin dock, integrating 8 or 19 pins. The Bluetooth 4 addition is said to be used in a specialized Apple-feature, which will allow all devices that integrate the technology to create a link between them. Using this link, owners could bestow devices extended functionality, like making phone calls from an iPod panel by making use of the linked iPhone. Moreover, an adapter between the 30-pin connector found on current Apple devices and those of the new generation will be made available after their launch. 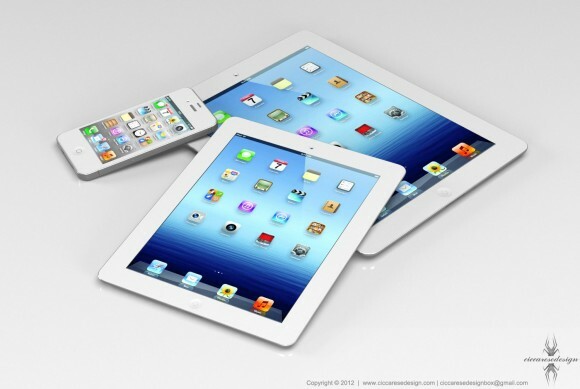 Price: When it comes to the price, the nice additional iPad Mini features will surely leave scars. The wider display, the 3G antenna and also Apple’s reputation contribute to the final selling sum, which should be below $250. The iPad Mini is expected to be unveiled by Apple in a September 12th event, alongside the iPhone 5, the next iPod Touch and possibly the iPad 4. As for the actual release date, rumors suggest that shipping will start until the end of the same month but without knowing the exact day. This should come just in time to take a big bite out of Google’s profits and in the hopes that the next Amazon line-up will be less patronizing.